Foods that benefit from vacuum or modified atmosphere packing can keep the product fresh for a longer period. Thermoforming Vacuum Packing Machine is also known as Rollstock. Why Thermoformed Stretch Film Packing Machine is popular? Foods that benefit from vacuum or modified atmosphere packaging can keep the product fresh for a longer period, and win the attention of consumers due to the more visually appealing packaging. Continuous Stretch Film Thermoforming Vacuum Packing Machine is also known as Rollstock. The mould of the thermoformed stretch film packaging machine can be quickly replaced, and the special packaging shape are available to be customized, the work cycle speed is fast that results a high efficiency and achieve the lowest unit packaging cost. What products are suitable for the thermoformed stretch film vacuum packing machine? A wide range of products can be thermoforming vacuum packaged, including food, industrial products, consumer goods, medical instruments. It is very suitable for packaging snack food, fresh meat, poultry, bakery and pasta products, and chilled prepared foods, Fresh fruits and vegetables in the food industry. 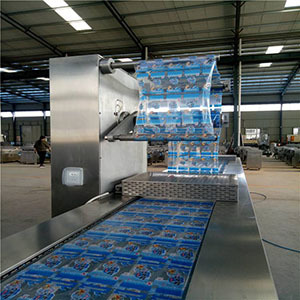 How does Thermoforming Vacuum Packing Machine Work? 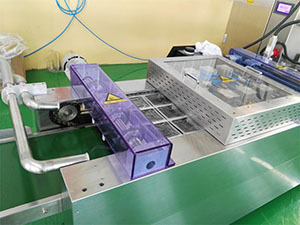 Thermoforming vacuum packaging machine is driven by step motor. The lower film is thermoformed into a tray container; the product to be packaged is loaded, and then is covered with the upper film. After vacuuming, it is packaged into skin packaging or modified atmosphere packing, and then heat-sealed to isolate the ambient air. After sealing, the number of production batches and date printing is option. Finally, through cross and lengthwise cutting, the individual the packaging process is automatically accomplished. Collect the cut trims and keep the environment clean is designed. What are our Thermoforming Vacuum Packing Machine featurs? Accurate servo control and optoelectronic tracking system ensures a high precision position of film. 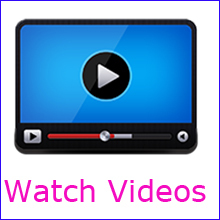 Therefore, color film application is available as the exact alignment of multi color pattern is guaranteed. Both the upper and lower film all has an automatic induction brake and tension system, in addition, a manual film horizontal adjustment device at any time is designed. Either soft or hard film is applicate, simple or complex shape packing container are all possible to be thermoformed including precision side and corner, also the forming depth is adjustable. Vacuum packing only or modified atmosphere packaging (MAP) operation are option. Constant temperature and uniform pressure sealing ensure the perfect sealing of vacuum products. Independent cross cutting with single blade that is able to be moved and adjusted is a standard device. It is PLC controlled to carry out smooth trimming, jagged trimming, or rounded corners cutting. Supply German food grade vacuum pump, Busch or Rietschile.